If this card is Normal Summoned, you can: Immediately after this effect resolves, Normal Summon 1 "Yosenju" monster from your hand, except "Yosenju Kama 3". When another "Yosenju" monster you control ..
Pendulum Effect If a "Yosenju" monster(s) you control would be destroyed by battle or card effect, you can destroy this card instead.Monster Effect If this card is Normal Summoned: Change it to Defe..
Pendulum Effect Once per turn, if you have a "Yosenju" card in your other Pendulum Zone: You can make this card's Pendulum Scale 11 until the end of this turn, also you cannot Special Summon monsters.. If you have no Spell/Trap Cards in your Graveyard, you can Special Summon this card (from your hand). After this card was Special Summoned this way, you cannot Special Summon monsters for the rest of .. If this card is sent to the Graveyard, and you have no Spell/Trap Cards in your Graveyard: You can look at 5 cards from the top of your Deck, then place them on the top of the Deck in any order. When .. 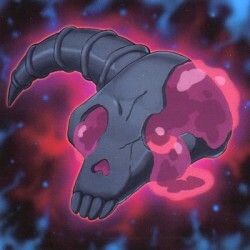 If all monsters you control are "Superheavy Samurai" monsters, and you have no Spell/Trap Cards in your Graveyard: You can target 1 face-up monster your opponent controls that has a Level; send both i..
You can target 1 "Superheavy Samurai" monster you control; equip this monster from your hand or your side of the field to that target. It gains 400 DEF. During either player's Damage Step, when a Defe.. When this card is Special Summoned: You can target 1 "Melodious" monster in your Graveyard, except "Soprano the Melodious Songstress"; add it to your hand. You can only use this effect of "Soprano the.. If you control a "Fluffal" monster, except "Fluffal Sheep", you can Special Summon this card (from your hand). You can return 1 other "Fluffal" monster you control to the hand; Special Summon 1 "Edge ..